When Transformers Prime first came along, I was rather skeptical. It was looking like yet another Transformers series set with the Michael Bay movies in mind. Plus it makes you think of the classic notion of how CGI cartoons are probably going to appeal to kids more and all that. But the show wasn't quite as bad as I feared an in many ways it's rather darker and more realistic storyline (for the most part) had odd echoes of the Beast Wars series many years ago. And I'll admit that was another series that I had underestimated since it was focused on animals of all things. And so it's not a bad thing to be proven wrong. And while this series isn't exactly my absolute favorite cartoon out there, it's still better than Star Wars Clone Wars, especially in the CGI series arena. The writing has certainly grown tighter as the show has progressed and the character line-up remains rather...interesting, to say the least. 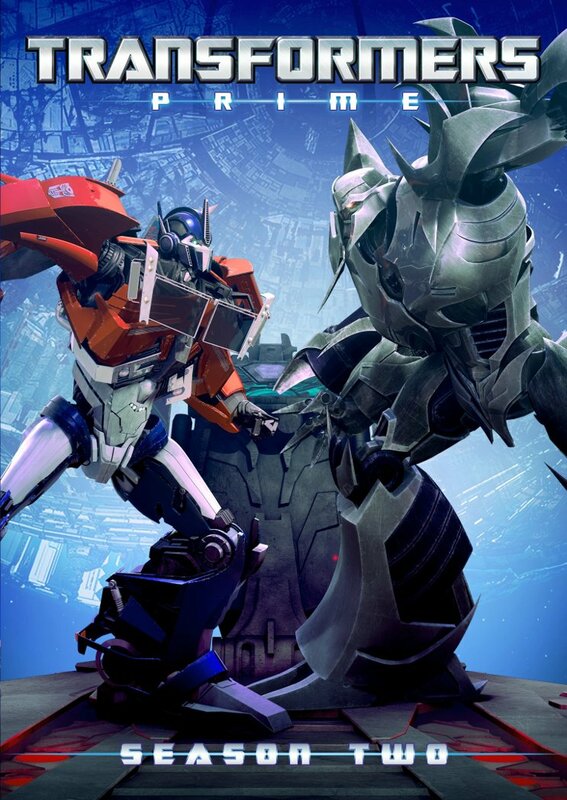 Synopsis: Transformers Prime is an animated TV series developed for television by Robert Orci, Alex Kurtzman, Duane Capizzi and Jeff Kline. The show airs on The Hub, a joint venture between Discovery Communications and Hasbro. At the end of the first season, we had the Autobots victorious against Unicron, who had manifested in a manner that was not exactly what Megatron (Frank Welker) had initially expected. But as a quirk of the events around that battle, Optimus Prime (Peter Cullen) lost his memories after becoming a Prime - something that Megatron took advantage off. Seeing only his old friend from his archivist days, Optimus, thinking he was still Orion Pax, joined Megatron. Thus the Autobots had to dedicate their efforts to finding a way to help Optimus recover his memories - provided that they manage to rescue Optimus as well. And once that story arc resolves itself, the greater mystery at large involves artifacts fabled to have come from the Vault of Iacon. Somehow the various artifacts have a greater role to play, but what that is does not become immediately apparent to our heroes. That keeps the Autobots busy for the rest of the season including the return of past villains such as Airachnid (Gina Torres) and Colonel Silas (Clancy Brown) together with his M.E.C.H forces. I felt the season was a lot more realistic in its storytelling approach - a term that is hard to use in a series about sentient transforming robots. But compared to the weird dark energon zombies along with a non-planetary Unicron, I think you'll come to appreciate the narrative direction that the series took this time around. And the two major arcs that I described involving Optimus thinking he's Orion Pax again along with the artifacts from the Vault of Iacon certainly gave the series a lot to work on across 26 episodes. And of course the big finale was appropriately epic, save for one minor item worth complaining about. In contrast to the first season, I felt the writers did their best to avoid too many stories with Autobots' human companions too much in center stage. And while they were constantly present in one way or another, they didn't exactly dominate the stories nor did we have to spend too many episodes following them as they went to school and such. The real stories are all about the Transformers and life back on Cybertron after all. The whole side plot involving Starscream (Steven Blum) at first seemed annoying and yet ended up being quite impressive in its own right; We all make fun of Starscream as the second-in-command who will always betray Megatron, sure. And he actually got punished this time around since he spent most of the season apart from the Decepticons. But he eventually finds his way back, and thus remains true to the original spirit of the character. I guess the one thing that really helps the series is the general confusion as to where this version of the Transformers universe exists with respect to all the other shows. As much as it is a largely independent series, the show does make quite a number of references to prior iterations of the cartoon. I suppose you could attribute this to the sort of fan service that made Transformers Animated such a fun series despite it also being independent of the other instances of the Transformers franchise. Funny how that works. Transformers Prime has certainly grown on me and the stories, for the most part, are a lot more mature than before. Thus this season gets 4 strangely powerful (and almost magical) Autobot artifacts out of a possible 5.